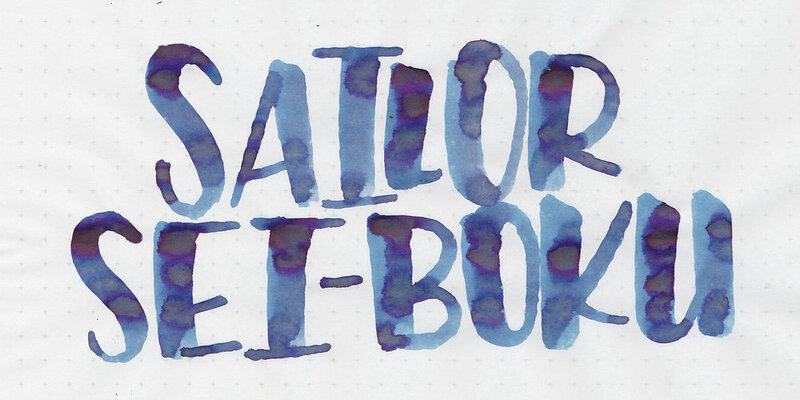 We are continuing on with reader request week, so today's ink is Sailor Sei-Boku. Sei-boku is a nano pigment ink. I purchased my sample of ink from Anderson Pens. Sei-boku is a lovely blue black. I love the depth this ink has. There's a few different shades of blue black and some interesting dark purple sheen in large swabs. Water resistance: High-I didn't notice any ink washing away. Ink swabs for comparison, left to right (top to bottom for mobile RSS): Diamine Blue/Black, Sailor Sei-boku, and Rohrer & Klingner Verdigris. Click here to see the Sailor inks together. Monteverde Azure Noir, Aurora Blue/Black and Birmingham Pens Kier Refinery Petroleum. 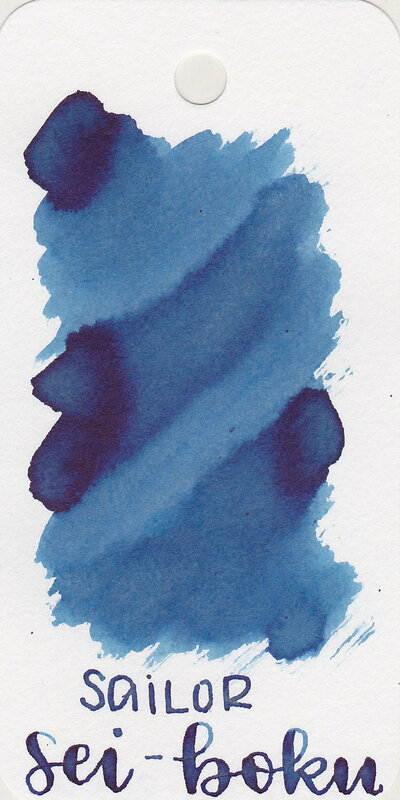 Click here to see the blue black inks together. I used a Waterman 52 1/2 then switched to a medium Pelikan M400 White Tortoise on Tomoe River paper. The ink had a lovely wet flow, it kept up with the flex nib really well. I really like this ink in the flex nib, it had no problem keeping up with the wet flow. Overall, I really like this ink. It has a lot of depth to the color, and has high water resistance. A bottle of it is going on my wish list. Give it a try, you might love it.